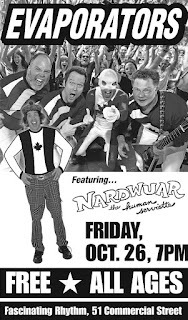 Friday October 26- Fascinating Rhythm, Nanaimo, BC (51 Commercial Street) The Evaporators are playing a FREE + ALL AGES instore with special guests Thee Goblins and The Claxton Five! 7pm FACEBOOK Event Page is HERE! 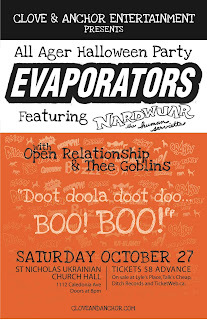 Saturday October 27- St. Nicholas Ukrainian Church Hall, Victoria, BC ( 1112 Caledonia) The Evaporators are playing with Open Relationship and Thee Goblins. ALL AGES. Doors 8pm. 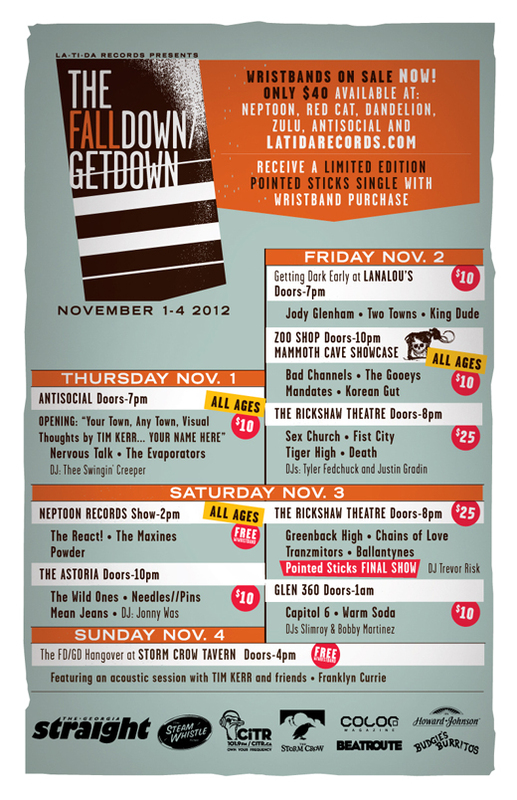 Tickets $8 advance/ $10 at the door buy tickets online HERE! or at Lyles' Place, Talk's Cheap or Ditch Records. FACEBOOK Event Page is HERE! Thursday November 1- Antisocial Skate Shop , Vancouver, BC ( 2337 Main Street) The Evaporators will be playing with Nervous Talk in conjunction with Tim Kerr's art opening ! ALL AGES. 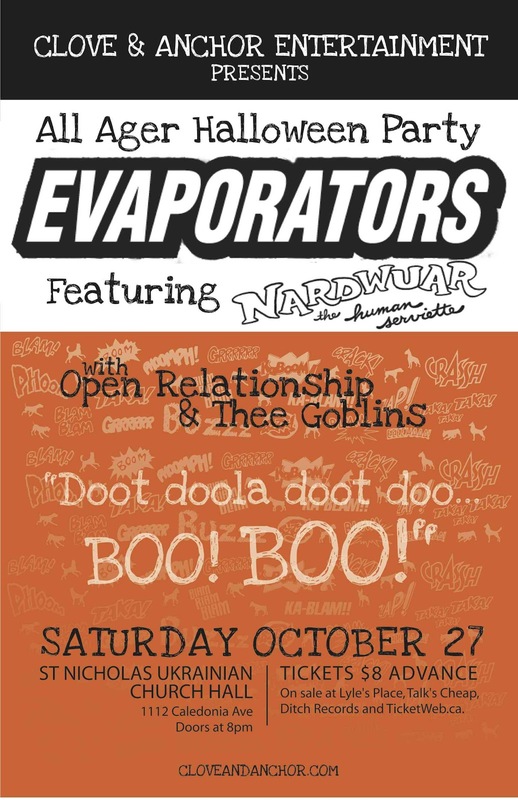 $10 Evaporators on at 9pm. 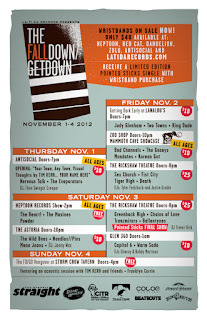 This is all part of La Ti Da Records Fall Down/ Get Down Weekender ! FACEBOOK event page is HERE! Saturday November 10 - The Waldorf, Vancouver, BC (1489 East Hastings) Nardwuar's other mysterious band Thee Goblins will be opening up for legendary rapper Blowfly! 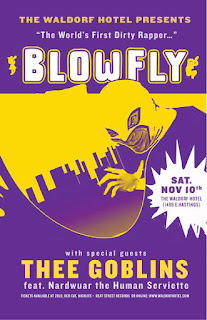 Thee Goblins on at 10pm! $12 19+ FACEBOOK event page is HERE!